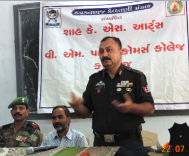 1.Before the Lok Sabha elections there was a rally organized by the SDM in Kapadwanj for creating awareness among the citizens about the importance of voting in which the cadets of our college participated. 2.16 cadets of the college gave their services at various polling booths during the Lok Sabha elections 2014. 3.In the B Certificate exams cadets passed and in the C Certificate exams cadets passed. 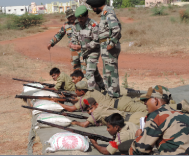 4.Firing practice of 28 Gujarat Battalion NCC Nadiad was held at the firing range of our college in March 2014 for selection for Mavalankar Shooting Competition in which cadets of all colleges under the Battalion participated. 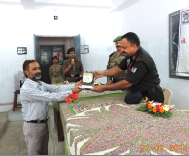 5.The enrolment of new cadets for the year 2014-15 was done by the personnel of the Battalion in the presence of the Commanding Officer Col. D.S. Katoch. 26 Senior Wing (SW) and 17 Senior Division (SD) cadets were enrolled. The CO addressed the cadets after the enrolment. 6.In the All India Thal Sainik Camp 2014 at Delhi Cadet Bhadreshkumar Raichandbhai Patel of our college was selected among 33 SD cadets from all over the state in the Gujarat Contingent. The Contingent was placed in 2nd position in the national ranking. 7.Cadets Chandrasinh V Rathod, Dipali J Trivedi and Manasvi V Trivedi participated in the All India Advanced Leadership Camp at Malout, Punjab. 8.34 SD and SW cadets of the college took part in the Horse Riding Training Program at Kheda sponsored by Suraksha Setu of Kheda District Police. 9. 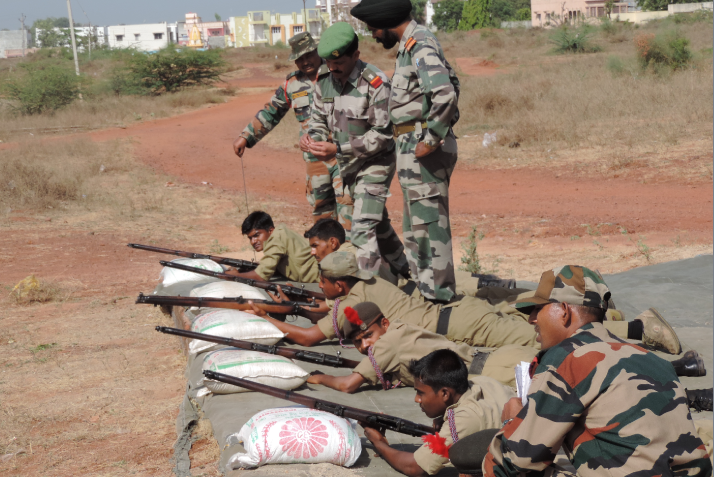 6 cadets attended the Army Attachment Camp at Ahmedabad in July 2014 and at the same time 5 cadets attended the Army Attachment Camp at Chiloda, Gandhinagar. Lt. A.B. 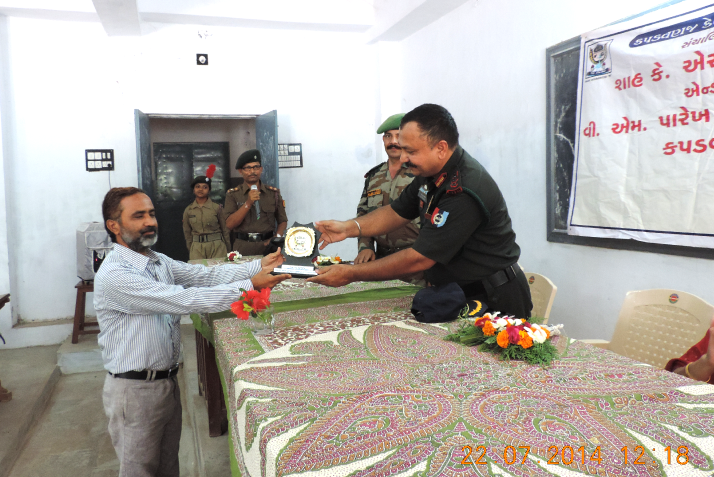 Panda was the officer in charge of the Army Attachment camp, Ahmedabad. 10.The cadets of our college took active participation in the Swachch Bharat Abhiyan and did the cleaning work at Kapadwanj Bus Station on 2nd October 2014 (Gandhi Jayanti). 11.On 31st October the Principal, NCC Officer and cadets of the college participated in the state sponsored Run for Unity program. 12.Initiated by NCC, the cadets of the college collected fund to contribute to the Prime Minister’s Relief Fund for the rehabilitation of the Jammu and Kashmir flood affected. 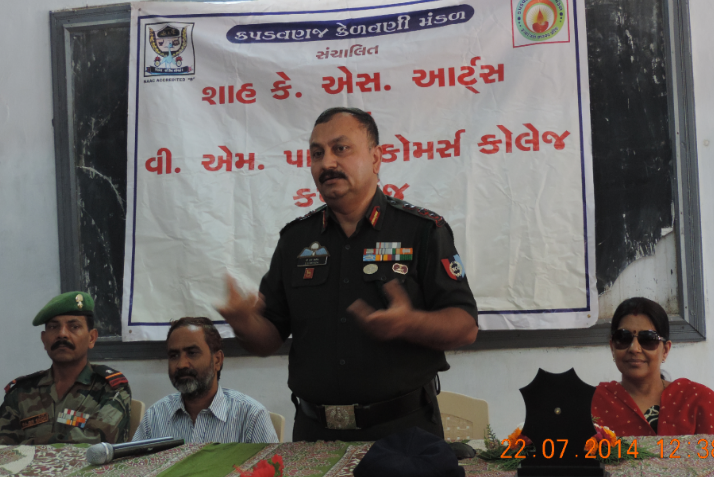 13.Senior Under Officer Vijay Parvatbhai Parmar got selected in Indian Army to join Maratha Regiment.